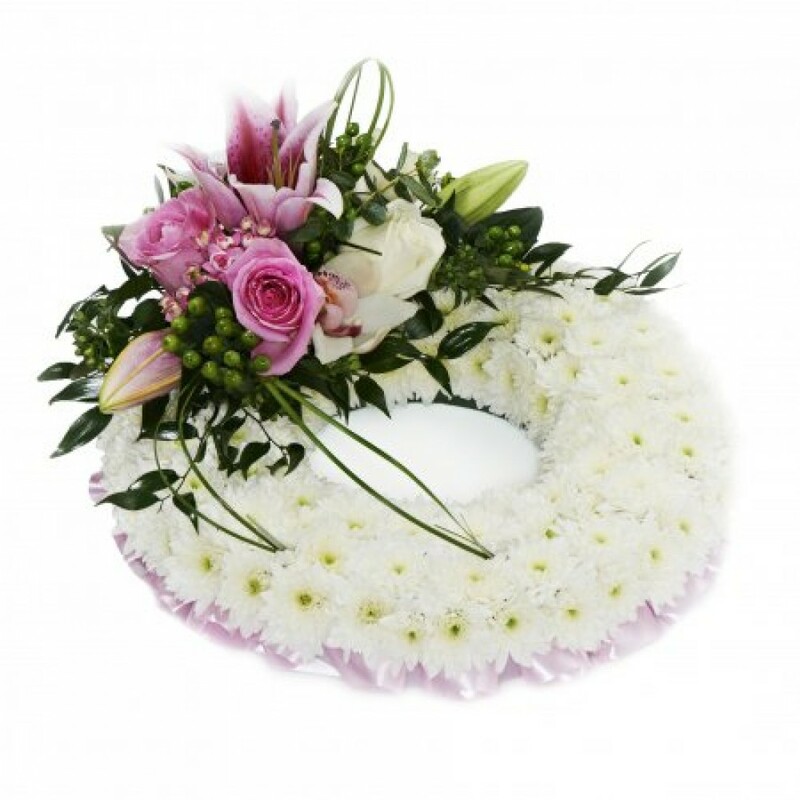 A traditional based wreath is a popular choice. The wreath is based in perfect white chrysanthemeums and is edged in a coloured ribbon. The spray on top of the wreath completes the design. This beautiful wreath has been arranged in water retaining foam (oasis) to ensure maximum freshness. If you would like to choose a colour scheme, please state this in the special request box. Suggested colour schemes are red and white, yellow and white, peach and white and pink and white. If no colour is stated we will make a pink and white wreath as in the picture.